With a fall nip in the air, we rolled into Terre Haute Thursday evening and immediately began preparations for three full days of great pickleball. Preparations means pasta!!!!! Always love to eat some lasagna or spaghetti the night before a tournament starts. Some people call it carb loading. I just call it a good excuse to get off the regular diet for a few days. Yummy! But as good as the food is, the competition is even better. Top players from all over the midwest always show up in Terre Haute. One of the great features of this tournament is the ability to play indoors if the weather doesn’t cooperate. Indiana State University opens it’s doors for them anytime they need indoor court space. Fortunately we didn’t need a roof over us this weekend. Except for a little gusting wind challenge on day two, the weather was perfect. 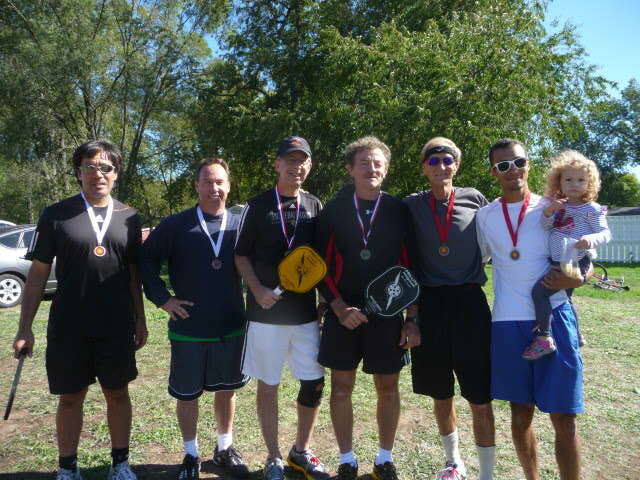 To see a little bit of Terre Haute pickleball play, click here. Pickleball Rocks!